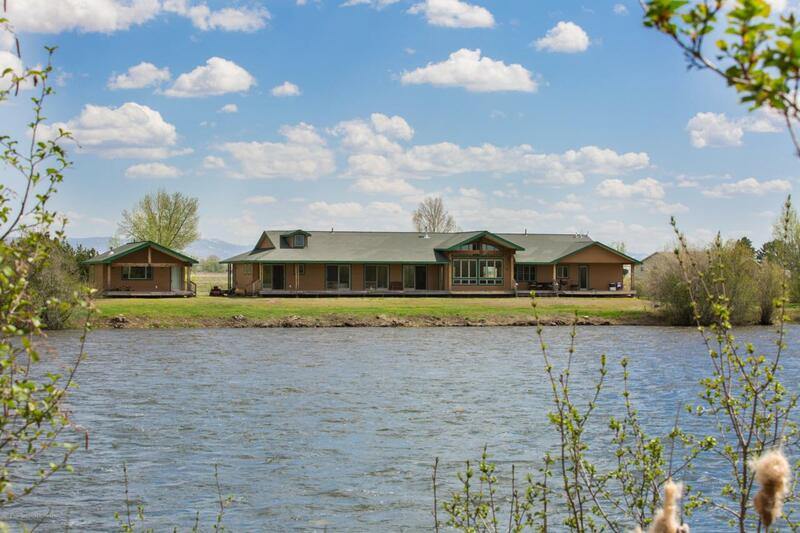 FLY FISHING FROM YOUR BACK YARD - HENRY'S FORK RIVER FRONT HOMERare opportunity to own your home on the river with the finest fly fishing from your own yard. Custom built 2895 sqft home with a 675 sqft attached garage and a 610 sqft guest house. House is just 80' from the river, has 255' of river frontage and sits on 1.77 acres. House features 4 bdr's, 3 1/2 baths with an open floor plan in the kitchen, dining and family room. 2080 sqft of natural Port Oreford Cedar decking complements this house. 9' walls and custom made 8'x3' VG Douglas Fir doors. 8'x8'sliding glass doors in every room with views of the river. Abundance of custom cabinets. Pantry with rustic Alder and Cherry kitchen cabinets. High end appliances. Floor heat. Unobstructed views with designated wetlands across the river.